I have madeleine pans, but I seldom use them. Most of the recipes I've seen are for basic vanilla madeleines, or maybe there's some citrus zest. That's fine once in a while, but when there are so many other recipe for cookies, cakes, and cupcakes with great flavors ... well, madeleines don't need to be made all that often around here. 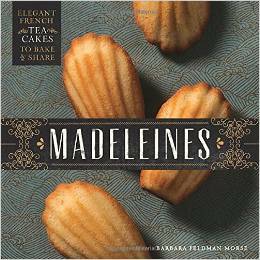 When I received the book Madeleines by Barbara Feldman Morse, I was curious how many variations I'd find. Wow. First I wanted to make the dark chocolate espresso madeleines, then I boggled at the savory ones. Now that's what I talking about. Then I saw a recipe for peanut butter madeleines dipped in chocolate. And that's where I stopped. Heat the oven to 350 degrees and spray two 12-shell pans with baking spray. Put the butter and sugar in a microwavable bowl and heat on low for 2 minutes. Stir with a whixk until smooth. If the butter didn't melt continue heating 30 seconds at a time until it melts, stirring in between heating. 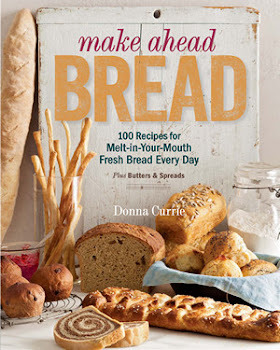 Note: mine never really got smooth, even though I beat the heck out of it with an electric mixer as suggested in the front-of-the-book instructions. It was supposed to fall off the beaters in ribbons. That never happened. I'm not sure if I heated it too much or too little but in the end, these were really good, so I guess it doesn't matter all that much. Let the mixture cool for 3-4 minutes before adding the eggs, one at a time, whisking well after each addition. Whisk in the peanut butter until well blended. Add the vanilla, salt, and flour. and whisk until thoroughly incorporated. Fill each shell with batter until it's almost full, pressing the batter gently to distribute it evenly in the shells. Remove the pans from the oven and let them cool on racks for a minute or two, then flip the madeleines out of the pans on the racks. If the stick a little, just give then a little push on the edges and they'll release. let them cool completely. Melt the chocolate 30 seconds at a time in the microwave, stirring after each heating, until the chocolate is completely melted. 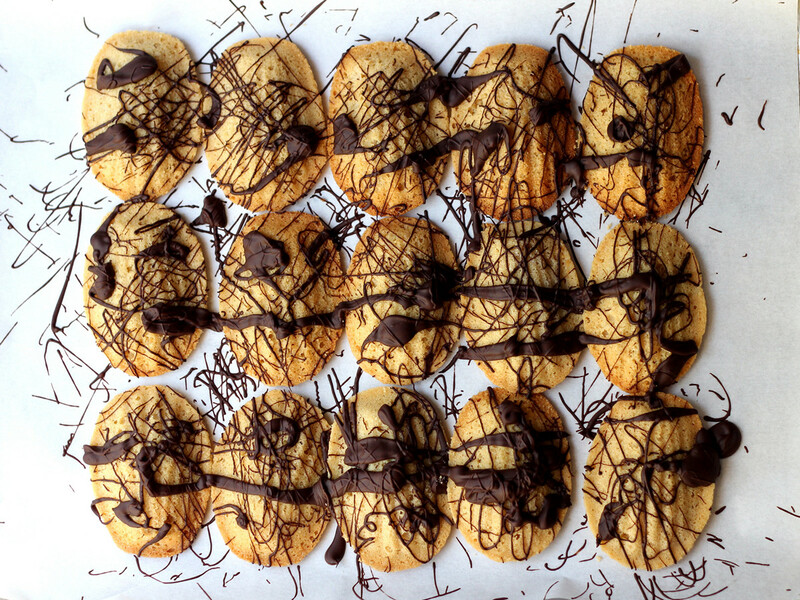 Now, you can dip the madeleines into the chocolate, or drizzle it over the top. I went with the Jackson Pollack effect. Sprinkle the chopped nuts onto the chocolate. 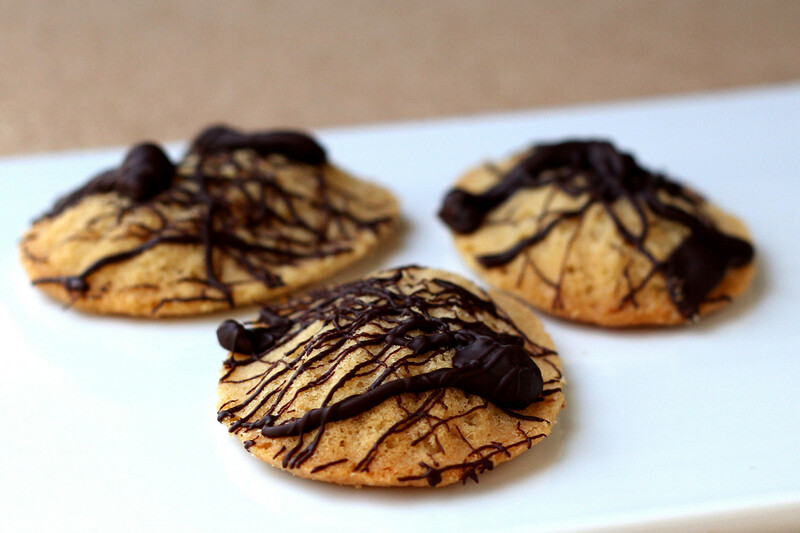 I decided to skip the chopped nuts, but they would be good with the dipped chocolate version. Allow the chocolate to set before serving or storing. 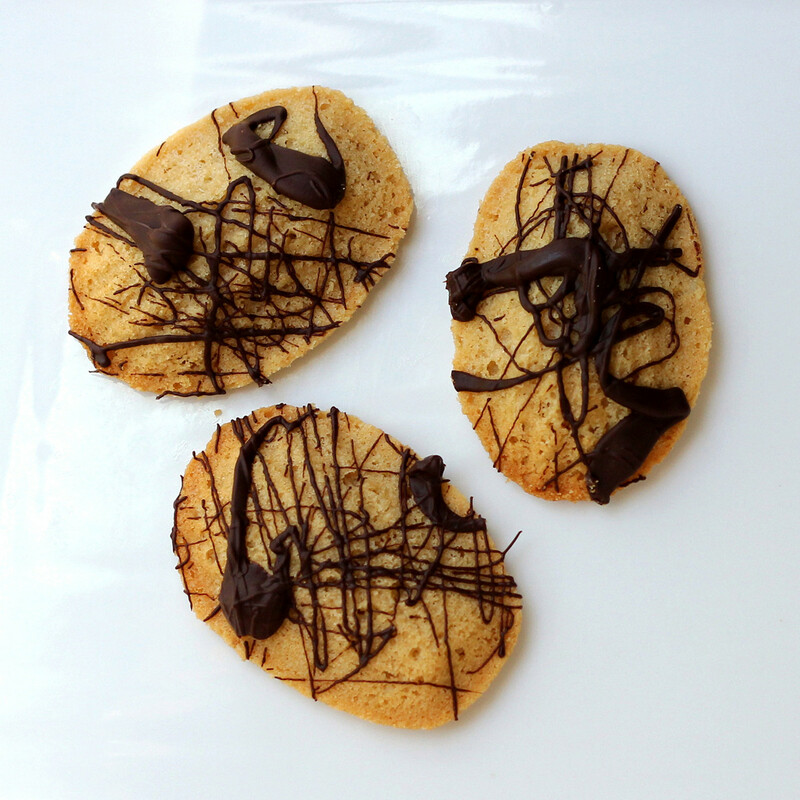 If you're in a hurry to get the chocolate to set, you can refrigerate the cookies for a short time. This book was supplied to me by the publisher at no cost to me.